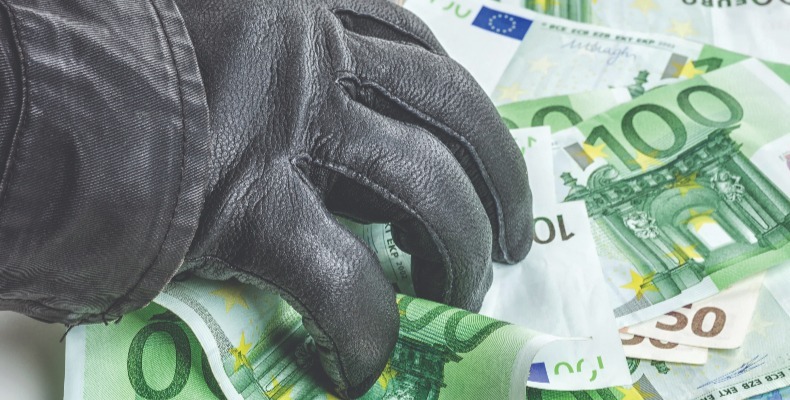 Schools are likely to be reviewing their approach to combatting financial crime in the light of the renewed focus on anti-money laundering, announced recently as part of the Government’s Serious and Organised Crime Strategy. It is timely therefore to consider the role a school has to play in this issue and how it can best meet its responsibilities and protect itself and its staff. Money laundering is a term which in popular myth derives from organised crime’s association with ‘laundromats’ (laundrettes) in the early part of the 20th century in the USA. These cash businesses, provided an easy way of introducing cash earned from criminal enterprise into the legitimate economy by mixing it with, and thereby passing it off as, turnover. In more recent popular culture there is the similarly literal Breaking Bad portrayal of money laundering, where criminal funds were ‘cleaned’ through a car wash business in the same way. These portrayals capture the imagination and are accurate to a point, but they also simplify a complex issue which in so doing may belie its scale and complexity. The National Crime Agency estimates that the impact of money laundering in the UK is likely to be in the hundreds of billions of pounds, which also enables a variety of other serious crimes from fraud and corruption, to terrorism and drug and arms trafficking. It is no exaggeration therefore to suggest that it is a significant and pervasive problem. A far cry from the myths of popular culture, the UK definition of money laundering set out in the Proceeds of Crime Act 2002 (POCA) is actually incredibly broad, spanning everything from facilitating (directly or indirectly) the movement of criminal property by whatever means, to simply handling it. The net is cast wider still by defining criminal property as property constituting “a person’s benefit from criminal conduct… (in whole or in part and whether directly or indirectly)”. Consequently, receiving money from a person who has committed a tax evasion offence, irrespective of their wealth from legitimate sources, could well fall within the POCA definition of money laundering. How does this concern schools? The POCA definition of money laundering is at the centre of our anti-money laundering regime which broadly establishes two levels of regulation for organisations. There are high-risk businesses who are in the regulated sector, such as financial services companies, accountants, lawyers and estate agents, and those outside of the regulated sector, which includes schools, however they are constituted. Regulated businesses are subject to a prescriptive regime which mandates how relevant organisations are required to address money laundering. Failure to adhere to this regime in many instances is a criminal offence. Schools, as with other organisations outside of the regulated sector, have greater freedom over how they manage this issue, which will depend on how high they perceive the risk to be in their particular organisation. This does not, however, exempt them from having to deal with the problem because directors, governors and trustees, all have legal duties to their organisation and stakeholders which VWV believes calls for a risk assessment of operations and the implementation of suitable risk-based procedures to help tackle financial crime. It may sound esoteric but good governance, whilst not a criminal matter, is underpinned by legal and regulatory obligations which have to be met and the reputational damage to any organisation which is found to have unwittingly assisted criminal enterprise, is likely to be significant. Unlike many organisations outside of the regulated sector, some schools may be particularly at risk of being targeted by criminals. Recently, and not for the first time, it was suggested by security minister Ben Wallace MP that a private education along with prestige cars and football clubs are likely to be attractive purchases for criminals. This is stating the obvious but the important message here is that schools are thought to have an important part to play in addressing this issue and are likely to be under greater scrutiny concerning their dealings with fee payers and donors in the future. Aside from issues of good governance and reputation protection, it is also worth noting that schools and their staff are actually able themselves to commit criminal offences related to money laundering, bribery and terrorism, including the handling of criminal property and the facilitation of money laundering and tax evasion. These are variously individual and corporate offences, and some are liable upon conviction to significant fines and terms of imprisonment. Perhaps the most likely offences to be committed by school staff are those under sections 328 and 329 Proceeds of Crime Act 2002 (POCA), which, broadly, prohibit the handling of criminal property (329), and the facilitation of money laundering (328). A section 328 or 329 offence could, for example, be committed by accepting a payment for fees or a donation (if you are a charity) at a time when you suspect that the money may be the proceeds of criminal activity. Whilst the commission of these offences entails criminal intent, ignorance of the law is no defence, and intent can be established simply by demonstrating that the individual in question suspected that the money was not from legitimate sources and proceeded with the transaction anyway. It is worth bearing in mind that ‘suspicion’ does not require there to be any specific evidence, just a more than fanciful possibility that something is true. There are specific defences available to schools in respect of these offences. For example, if you have received money which turns out to be criminal proceeds as payment for school fees, there is likely to be a specific defence available under section 329 POCA to a handling offence. However, if you received the money at a time when there were grounds to suspect it was criminal property, it is likely that a criminal facilitation offence will have been committed instead. A school can and should make an authorised disclosure to a relevant authority (which includes a Suspicious Activity Report to the NCA) and if it does so and waits for clearance to proceed before accepting the money, it will have a full defence to any section 328 POCA offence. However, these are limited and narrow protections which rely on the awareness of your staff to be of any value. It is also noteworthy that National Crime Agency statistics suggest that fewer than 10 of the 462,000 Suspicious Activity Reports that it received last year were from schools. VWV suggests that schools should ask themselves if they are confident that their frontline staff would act upon a suspicion. If the answer is no, VWV says that you may be doing your organisation and staff a disservice if you do not provide a clear policy and training on these issues. VWV believes that effective financial risk management calls for the identification of the key risks for your particular school, then the implementation of clear and appropriate risk-based policies and procedures, and staff training on their application and implementation. Schools are advised to operate a credit control policy to ensure consistent practice in respect of issues such as taking cash payments and payments from third parties as a minimum. This can be supplemented by a Combatting Financial Crime Policy which provides more detail about the school’s approach to identifying and managing these risks which is likely to cover appropriate customer/donor due diligence and clear guidelines on internal and external reporting. Schools should also review their contracts with parents and suppliers to ensure that they are compatible with their particular approach to managing financial risk. VWV believes that these simple measures will not only protect your staff and organisation, they will also facilitate the provision of timely and sometimes crucial intelligence to our enforcement agencies to assist with the fight against organised crime. James Garside is a senior associate at leading education law firm VWV. James can be contacted on 0117 314 5639 or at jgarside@vwv.co.uk. VWV’s previous legal column: GDPR–what have we learnt? What should schools do about the new data protection laws?